There are two shops at Sarcoxie, MO that have old signs. 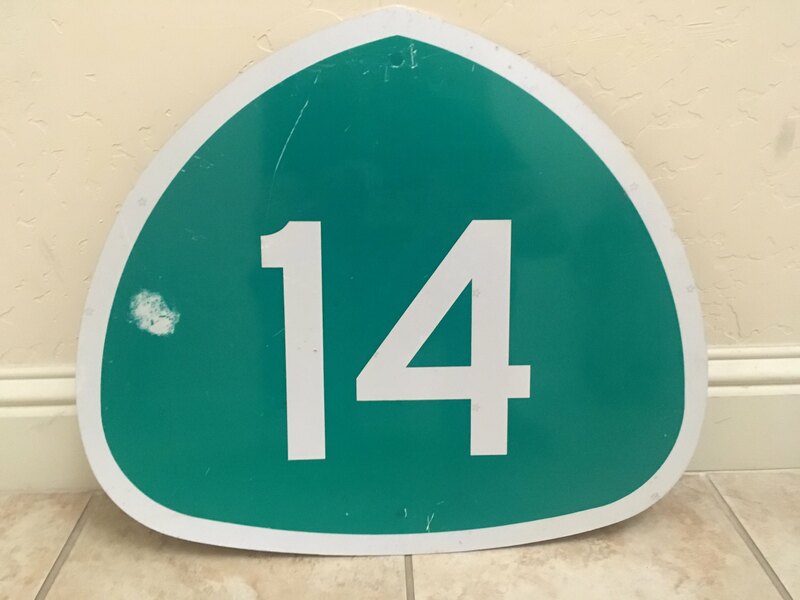 One has 48 inch construction signs, the other has a bunch of STOP signs in various conditions as well as a couple US 166 signs. Stop signs are $30+, but I didn't ask about the 166. What California Spades do you have behind the US 1&9? I've got a CA 99 and 58 hiding back there. Nice, had to ask once I saw those in the background. 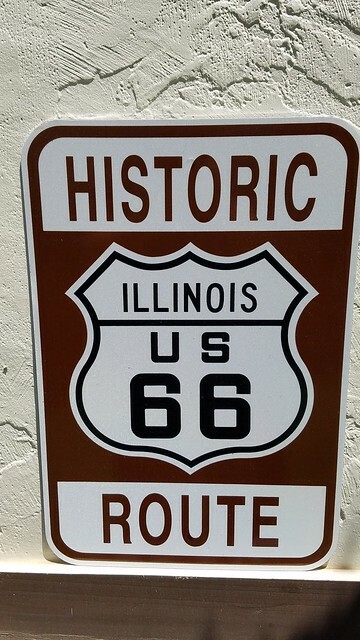 Only thing I've picked up lately is a Historic Route US 66 sign from Illinois. I got it at a silent auction at the Route 66 Festival in Texas. 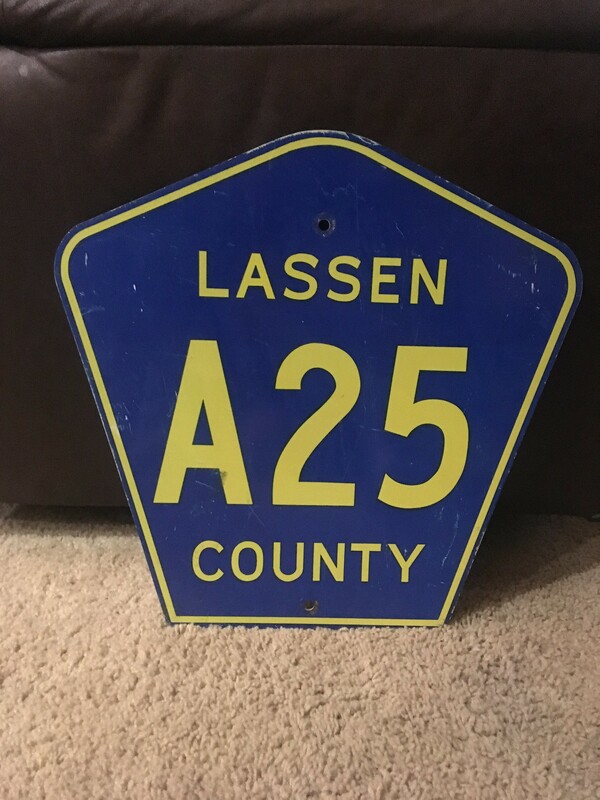 I picked up a souvenir-sized National Road sign on my trip, but didn't find many opportunities, otherwise. I run into this shield type now and then out on the State Highways. Generally I've founded them to be somewhat common in Southern California mostly. The G28-1 spec shield is substantially smaller than the G28-2 shield that is a far more common variant. Personally I think the G28-1 is pretty ugly but it fits well in my garage with the bigger shields. 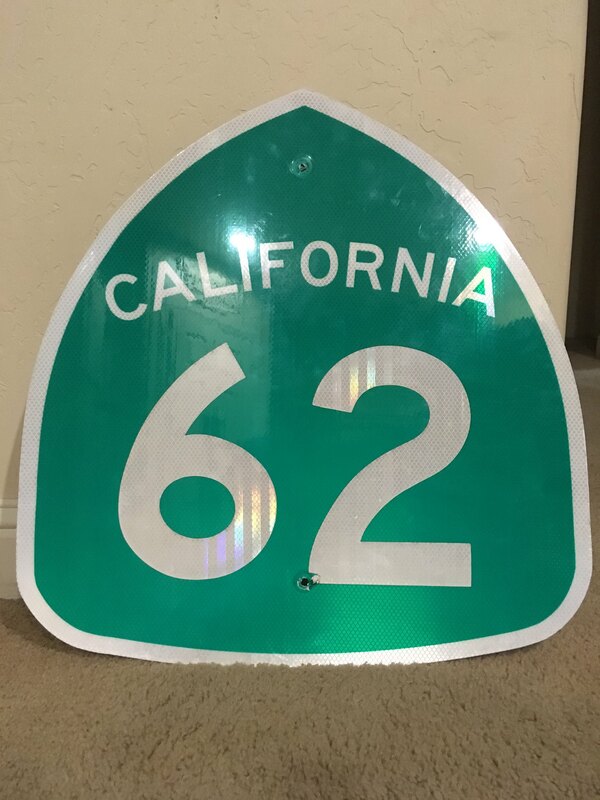 Below I linked over the California MUTCD specs for G28-1 and G28-2 shields. I'll admit, this was an impulse purchase. Stuff that isn't from Minnesota isn't typically in my purview, but I figured this was unique enough (and inexpensive enough) that… why not? 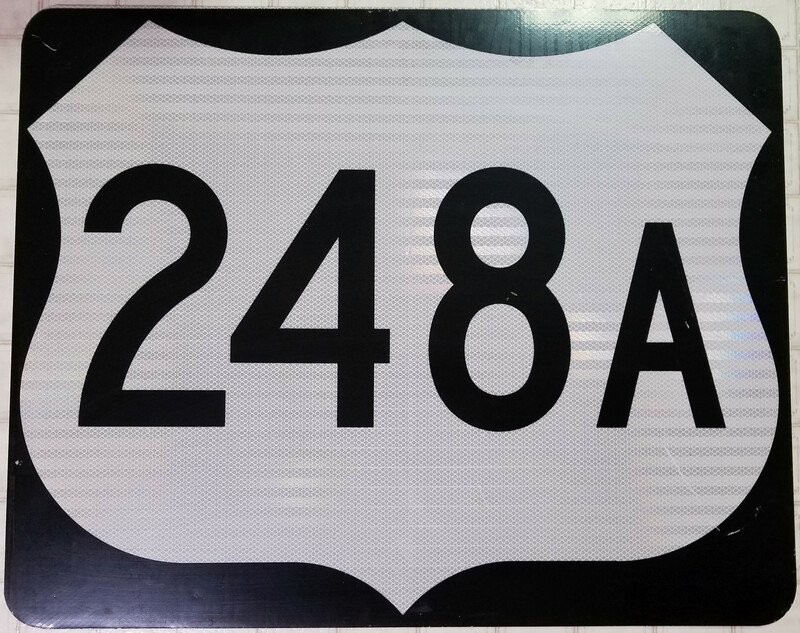 A US/state route mix-up error shield from New York. This one never made it to the field, as none of the holes have been punched through the sheeting, although it clearly saw a little bit of abuse while in storage. 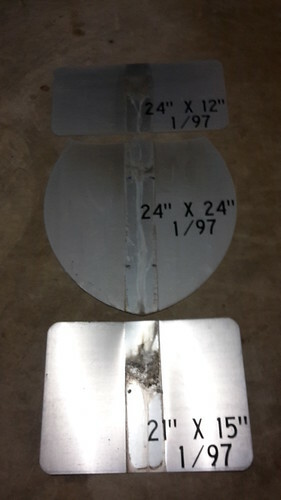 The upper left edge was also a bit screwed up in fabrication, since the black doesn't completely fill in that corner. Neighboring house in Princeville, Kauai on a recent trip. Sorry for potato quality; only better angle would have been trespassing in their yard. 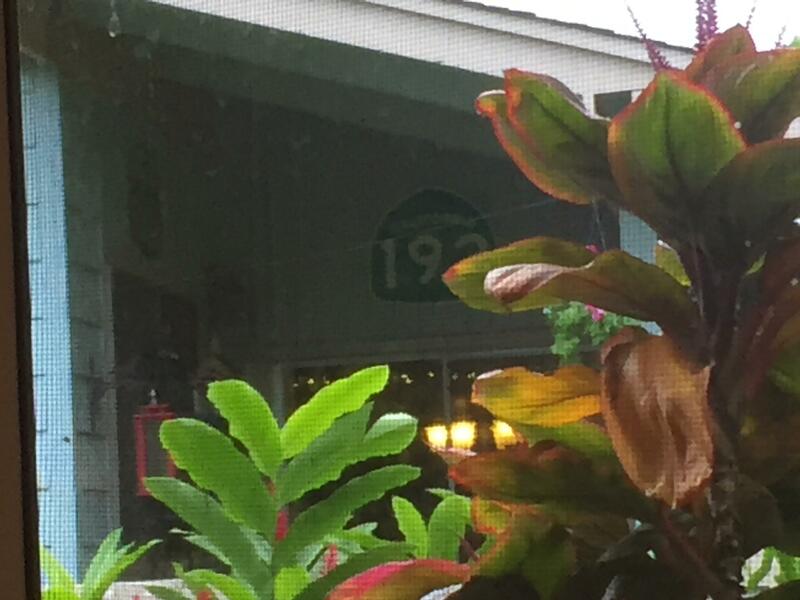 But there were US 101 and CA 192 signs mounted on their back porch exterior walls. Weird to see a CA 192 shield all the way the hell out there. Didn't one of those pop up on eBay awhile back? Nabbed an Australian Tourist Drive 1 sign. It's kind of beat up and will need a bit of flattening in the vise but should display well. 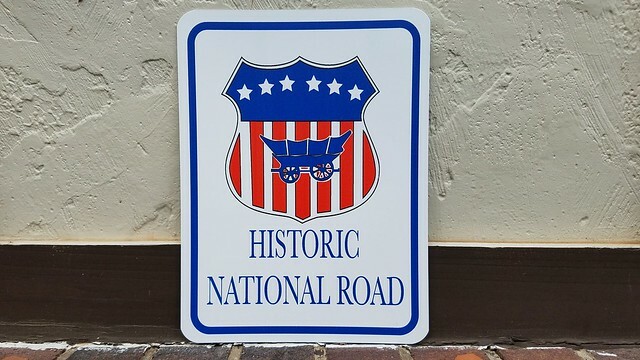 It will go with my National Highway 87 reassurance shield and National Route 1 coverplate. Still, my prized one is an embossed Maine US 1. The paint is largely original. I even found an embossed R to go with it, even though I don't think Maine ever used those, but it matches. 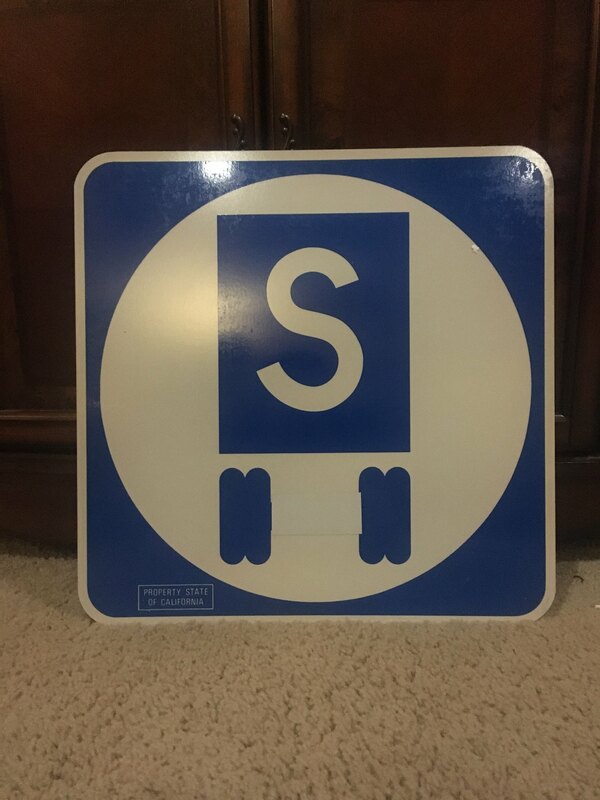 There was an R sign on e-bay a few weeks ago. 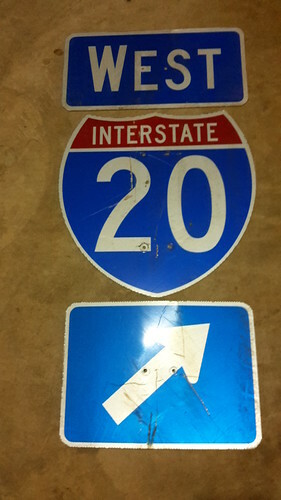 I honestly would have preferred just a modern Us 202 shield since I lived off it in Connecticut for 6 years. But I’m not going to complain for the price I paid to get something steel. What does an R sign mean? Turn Right. It was posted below the route shield. 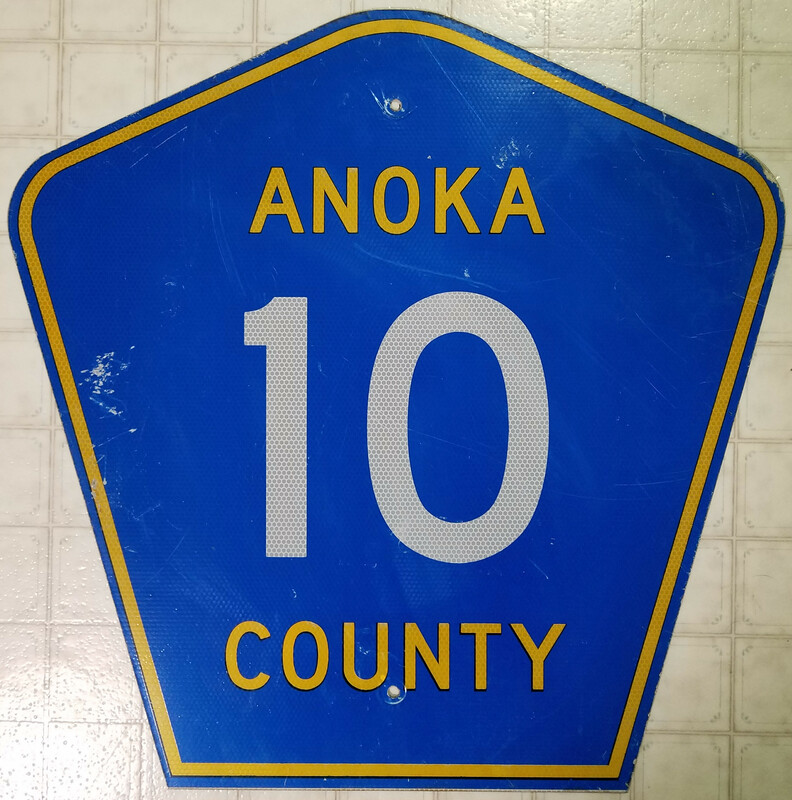 I bought this last week, received it on Saturday: an Anoka County Road 10 shield. Anoka and Ramsey County 10 are the former alignment of US-10 in the northern Twin Cities suburbs, before the freeway between MN-47 and I-35W was completed in 1999. 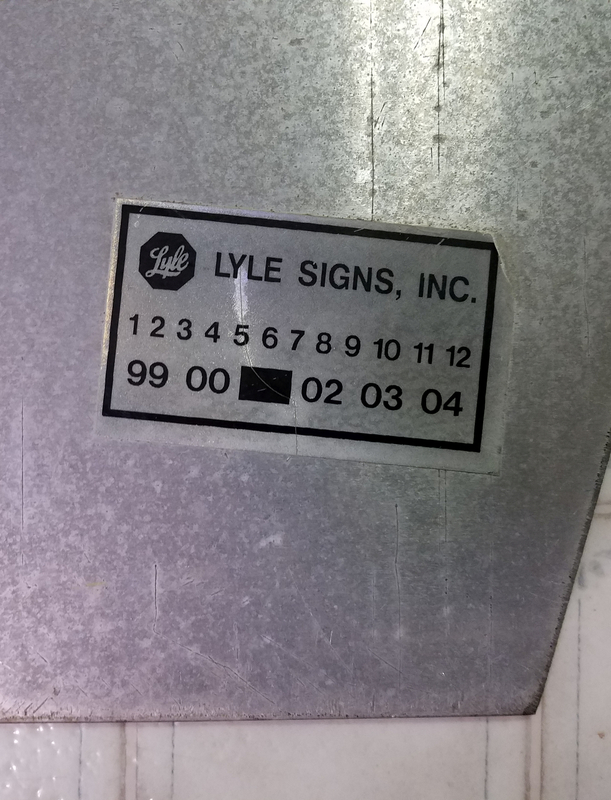 This sign was made by a contractor a couple years after that, judging by the sticker on the back. 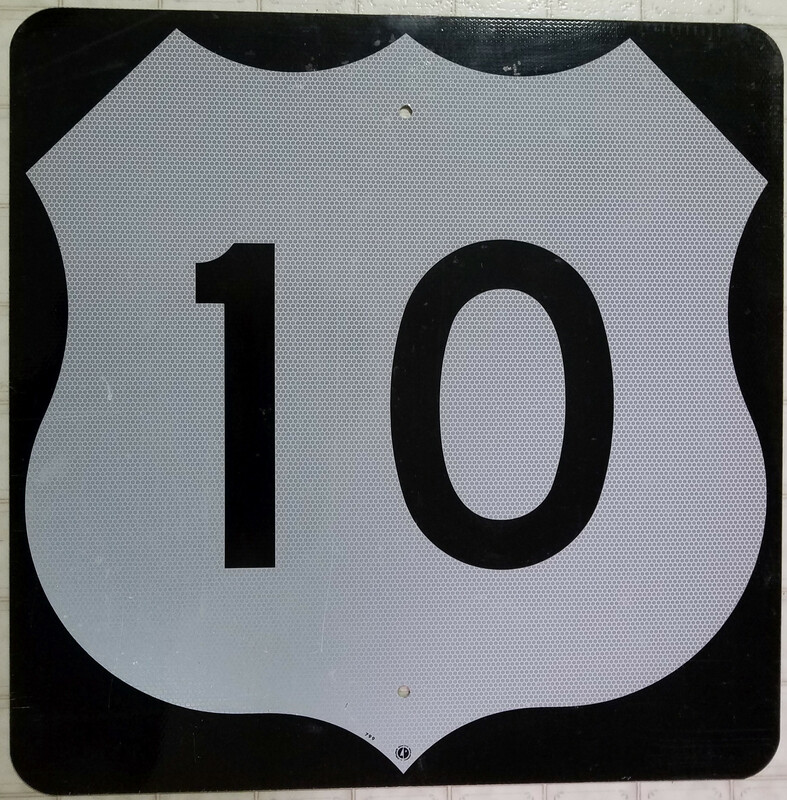 This next sign I've had for a couple years now, but it's relevant to the above sign: a MnDOT US-10 shield. This one appears to have never been posted in the field, since it's in really good condition and it lacks the impressions of washers around the mounting holes. Interesting to note that the date code near the bottom center, "799", indicates it was fabricated in July 1999, which is pretty close to the time that the aforementioned freeway section opened. 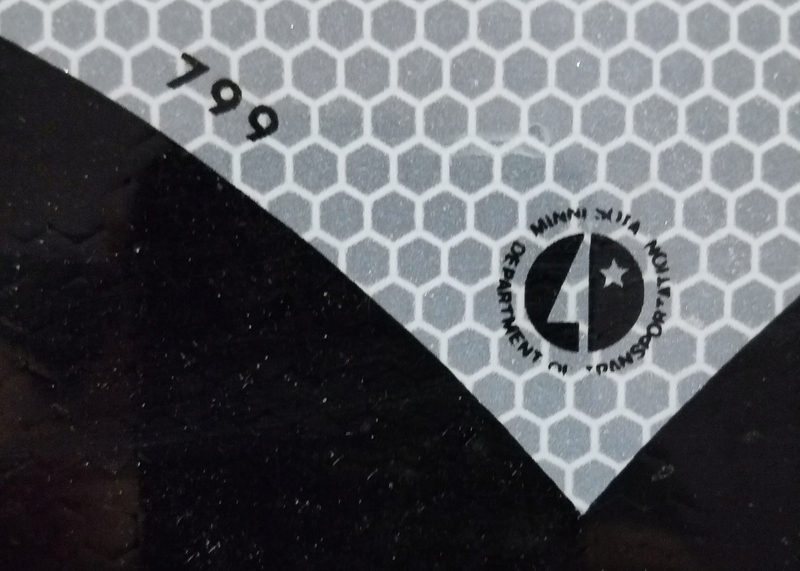 Here's a closeup picture of the date code and the MnDOT logo at the bottom center. I have a couple new ones, but haven't photographed & Flickr'd them yet. Your local source of road-related information. Haven’t seen the term Flickr’d used much. 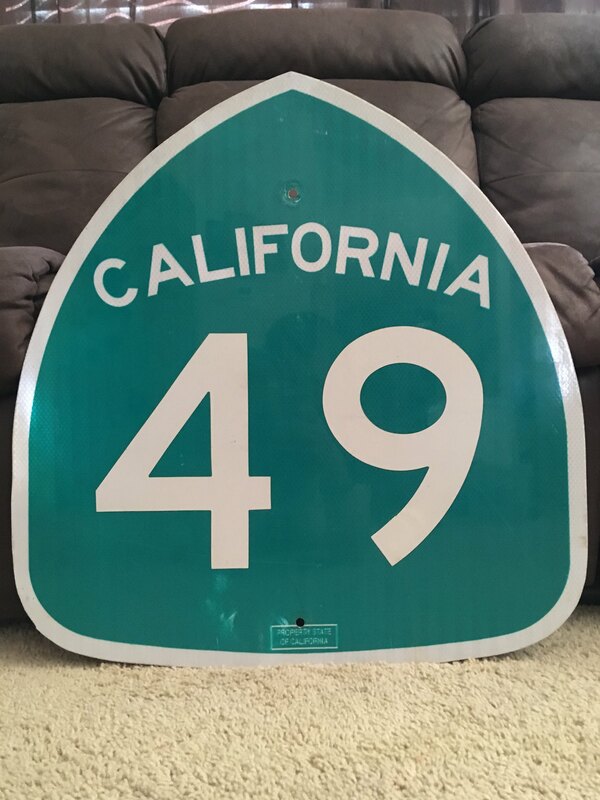 Speaking of Minnesota there was a US 59 shield up recently in eBay. I missed out on buying it before the listing disappeared, would have liked to have that one given the National Park connection. I missed seeing it. I did get a 71 shield a couple weeks ago.